Perched high on an outcrop of rock and access only up a track in Wirksworth, Derbyshire, this project was again up there in terms of top three challenges. 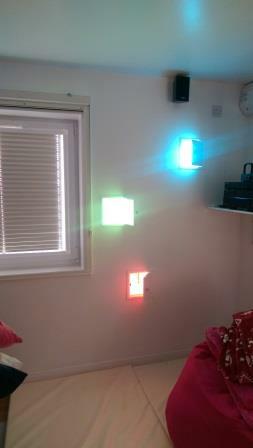 Our client was a young woman with CP living at home with her parents and she needed her own space in the form of a sensory room. 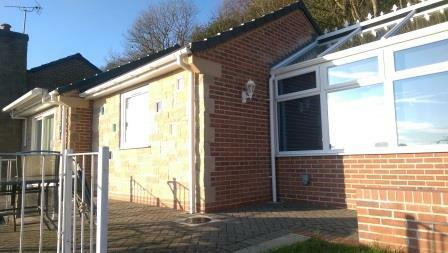 To do this we had to demolish the existing nice conservatory, build a new sensory room with the facility to black the room out completely and then build a new replacement conservatory for the family. The logistics of getting materials in and out of site meant that we had to keep all of the soil from the foundation excavations on site which meant re-levelling the already steep garden. 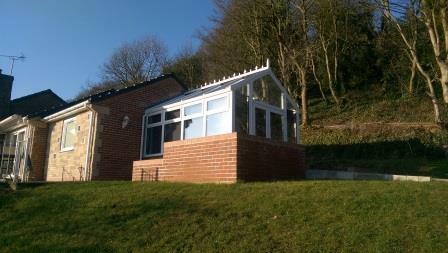 To add to the stress, the first builder went into administration just as the job was starting but thankfully Newton construction stepped in to do a fantastic job and got the project finished on budget. 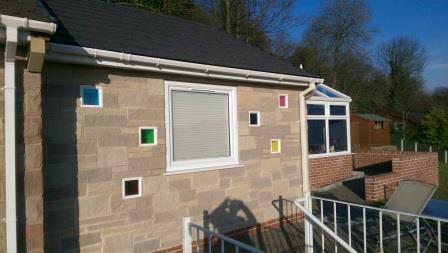 Architecturally what could have been a windowless box was designed to fit in with the existing bungalow. We designed small feature windows in the South facing elevation with coloured glass in them, which could also be closed by small doors on the inside so when the sun shone, the room was bathed in different coloured light courtesy of nature.